When you're in need of an experienced Miramar Slip and Fall Attorney, call Robert Gluck at the Law Offices of Robert E. Gluck, P.A. He will be able to provide you with the legal representation and guidance you need when you're injured in a slip and fall accident. Whether you've fallen at someone's home or business, we will be able to help you. 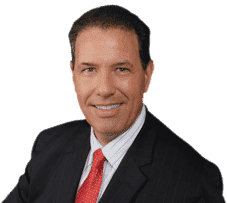 Robert Gluck is a Miramar Slip and Fall Attorney who has been able to build a solid reputation over the years. He first became a lawyer in 1989 and is completely dedicated to his clients. He will fight hard for you to make sure you're treated fairly throughout the whole process of your case and you receive the financial compensation you deserve. When you hire Robert Gluck as your Miramar Slip and Fall Attorney, he will begin by opening a thorough investigation into your accident. He will gather all of the evidence he will need to build a strong case for you, such as finding and speaking with witnesses, taking photographs of the accident scene, securing video surveillance, and any other evidence he thinks is necessary. You may be able to receive a higher compensation when you seek the legal representation from a Miramar Slip and Fall Attorney than if you try to handle your case on your own according to some studies. It's important to know you won't have to go through this ordeal alone. We will be there for you every step of the way from beginning to end.